As visitors enter the cemetery from the Taneytown Road entrance, this is one of the first monuments that they see. They probably know that Lincoln gave his speech to dedicate the cemetery, they see the monument, and believe this is the spot. 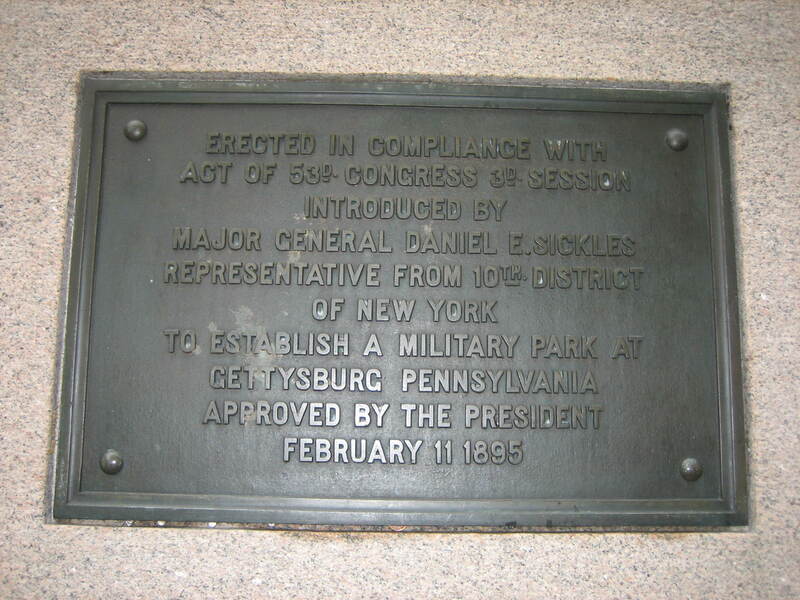 The separate black plaque in the right of the photo, directing visitors to another location where it claims the speech was made is often missed. This view was taken from the north facing south at approximately 4:45 PM on Friday, May 16, 2008. The Gettysburg Daily picked a rainy Friday to visit the Soldiers National Cemetery on Cemetery Hill. 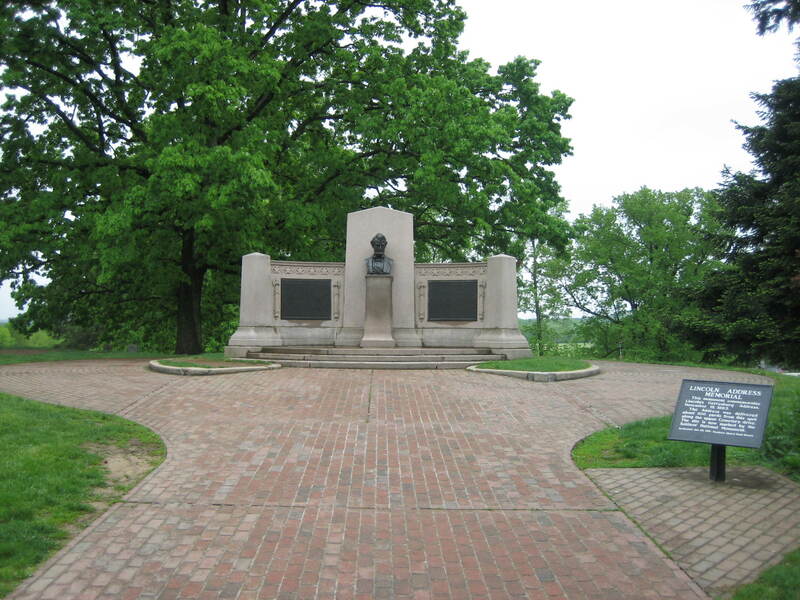 The subject of today’s photographs is the memorial to President Abraham Lincoln’s Gettysburg Address. 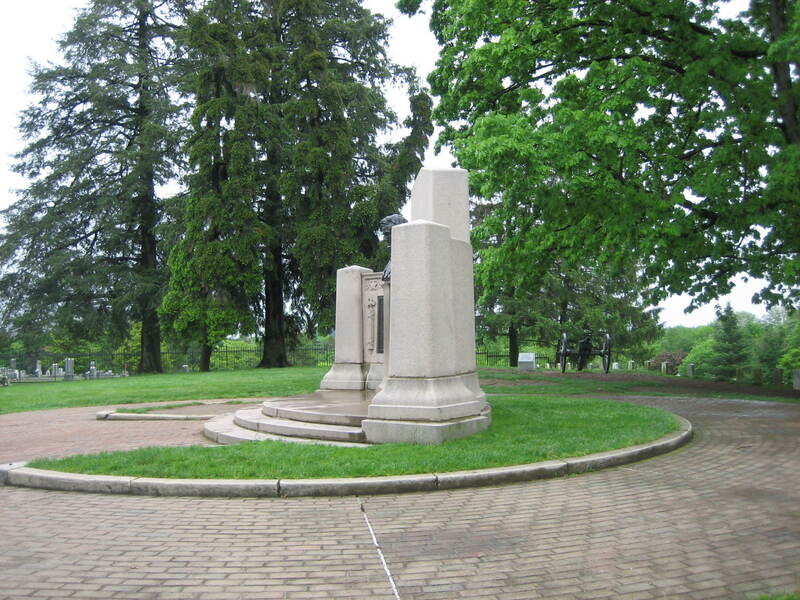 Located near the entrance gates by the Taneytown Road, many visitors see the monument, and believe this was the location where Lincoln delivered his speech on November 19, 1863. However, the location was 300 yards to the north of this location, in the Evergreen Cemetery (civilian cemetery). See our post on the announcement of Edward Everett’s copy of the Gettysburg Address to return to Gettysburg on August 23, 2008. See our post on Edward Everett’s copy of the Gettysburg Address returning to Gettysburg on September 28, 2008. Unfortunately, the plaque does not provide the correct location either. 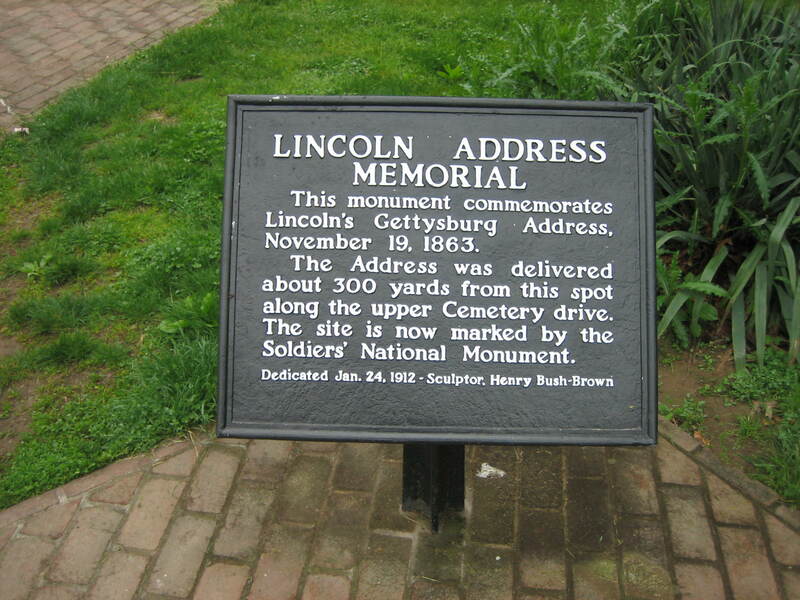 The speech was given approximately 300 yards north of this location, but Lincoln was standing in the civilian cemetery, Evergreen Cemetery. He was facing to the west, and a large flag pole in front of him is now the location of the Soldiers National Monument. This view was taken from the northeast facing southwest at approximately 4:45 PM on Friday, May 16, 2008. The bust was sculpted by Henry Kirke Bush-Brown. The plaque on the left is the letter written by Gettysburg Judge David Wills inviting Lincoln to give “a few appropriate remarks” at the cemetery dedication. 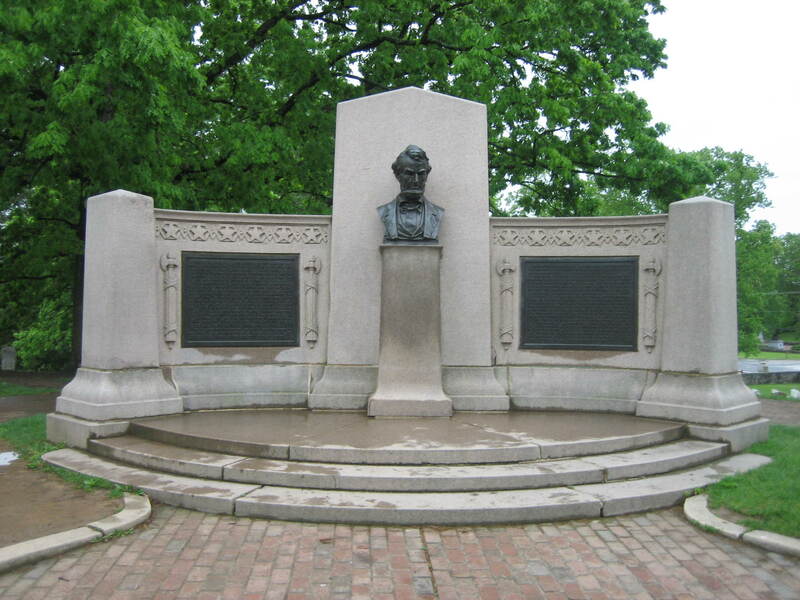 The plaque on the right is Lincoln’s Gettysburg Address. This view was taken from the east facing west at approximately 4:45 PM on Friday, May 16, 2008. 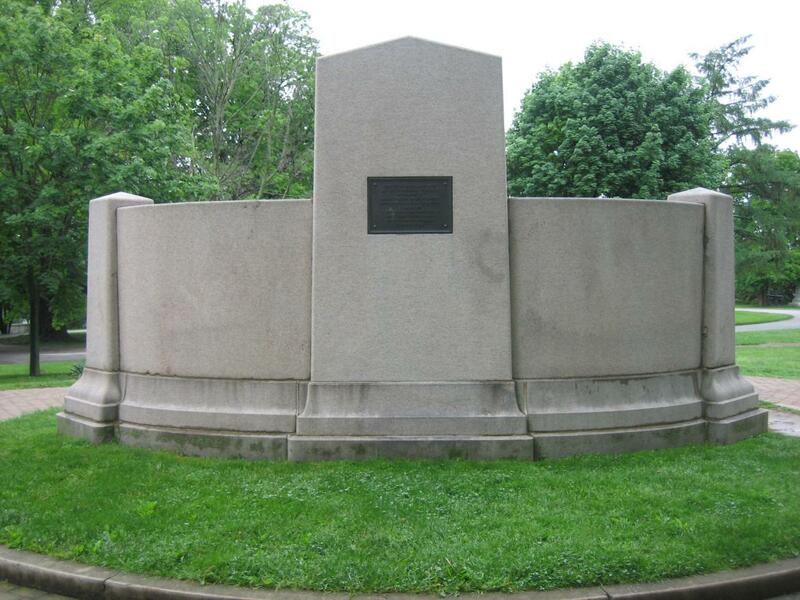 The monument was designed by Louis Henrick, and features a curved wall. 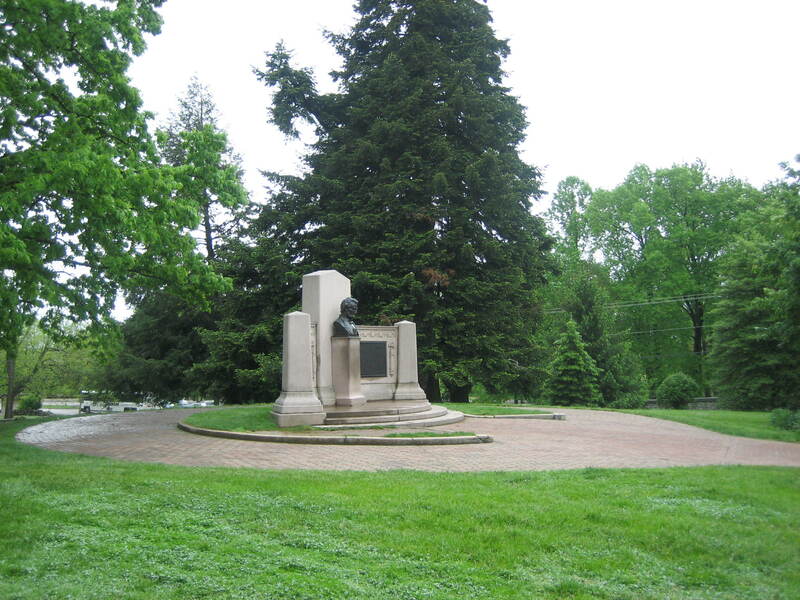 The sculptor of the bust, Henry Kirke Bush-Brown (1857-1935), has three other monuments at Gettysburg: the equestrian statues of George Gordon Meade, John F. Reynolds, and John Sedgwick. This view was taken from the west facing east at approximately 4:45 PM on Friday, May 16, 2008. The rear of the monument contains a plaque. This view was taken from the south facing north at approximately 4:45 PM on Friday, May 16, 2008. When Major-General and Congressman Daniel E. Sickles introducted legislation to create Gettysburg National Military Park, he included a provision for a memorial to commemorate the Gettysburg Address. $5000 was obligated for this memorial, which wasn’t constructed until 1912. This view was taken from the south facing north at approximately 4:45 PM on Friday, May 16, 2008. The monument is one of the few that honor a speech. This view was taken from the northeast facing southwest at approximately 4:45 PM on Friday, May 16, 2008.